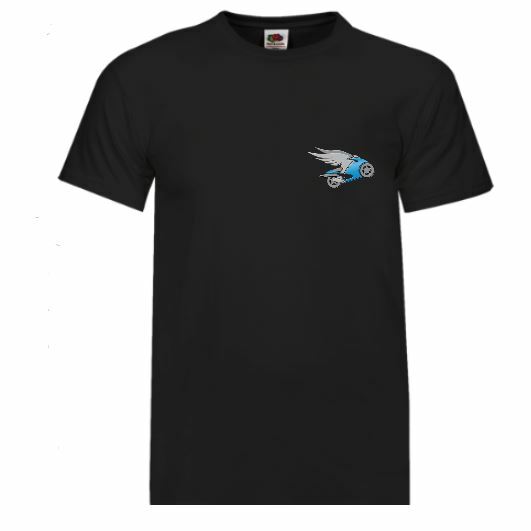 Now you can be part of an elite group of people who recognise quality and don’t mind telling people. 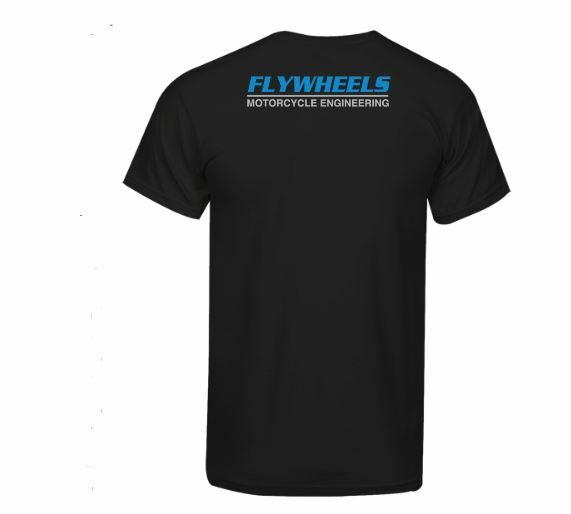 This Black T-shirt sporting the coveted Flywheels “wing-bike” logo is made from 100% cotton. It’s easy to wash and feels great to wear. 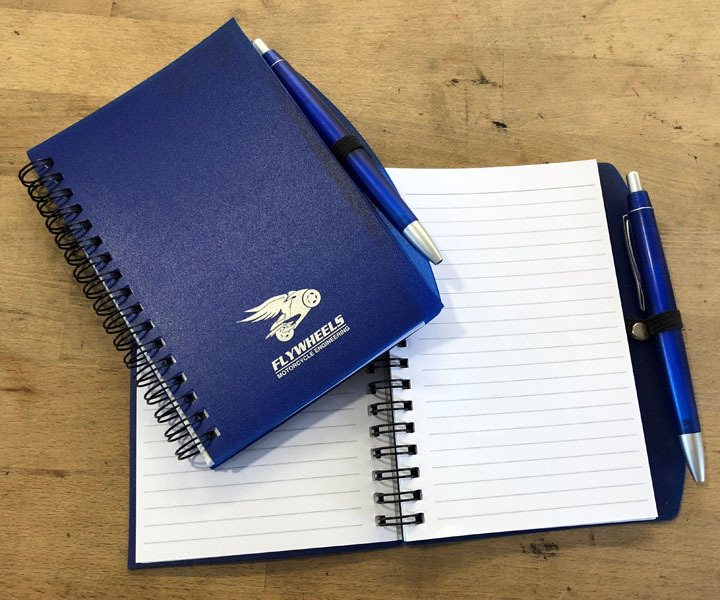 Comfy yet stylish, for attending your favourite event, just wearing around the house or while you’re tinkering on your pride and joy, this new addition to the Flywheels range will surely turn heads and start a great conversation. This little guy actually serves a few good purposes. 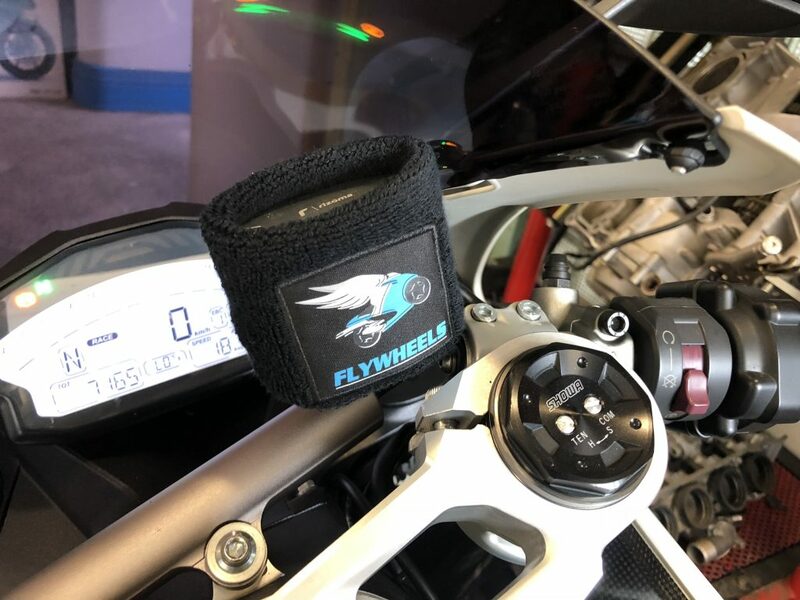 If your sportsbike has a round front brake reservoir, it prevents leakage and brake fluid sweat from dropping onto your valuable paintwork. It is also the best form of sunscreen to prevent the white plastic from breaking down and cracking due to UV radiation. 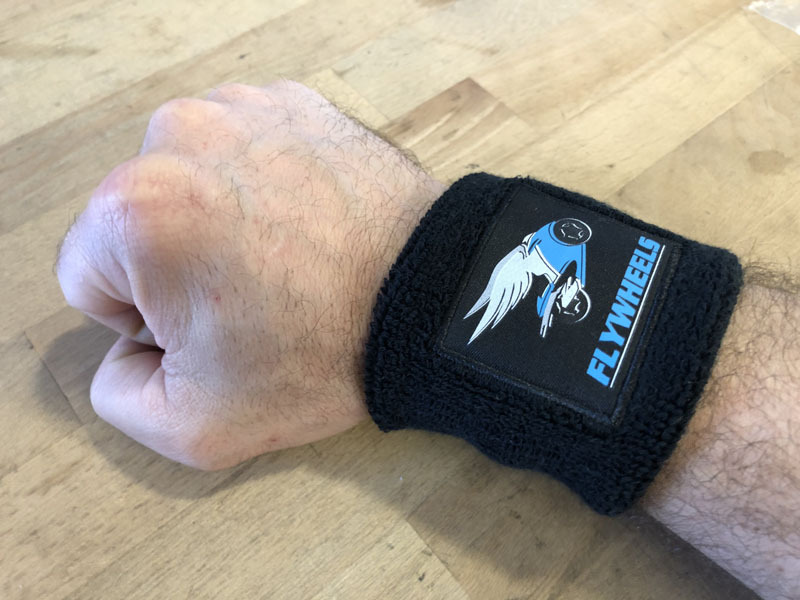 Apart from that, they actually do provide some decent wrist support during everyday operations and the odd game of tennis. And, of course, they can be used as a serious fashion statement to stand out from the crowd. 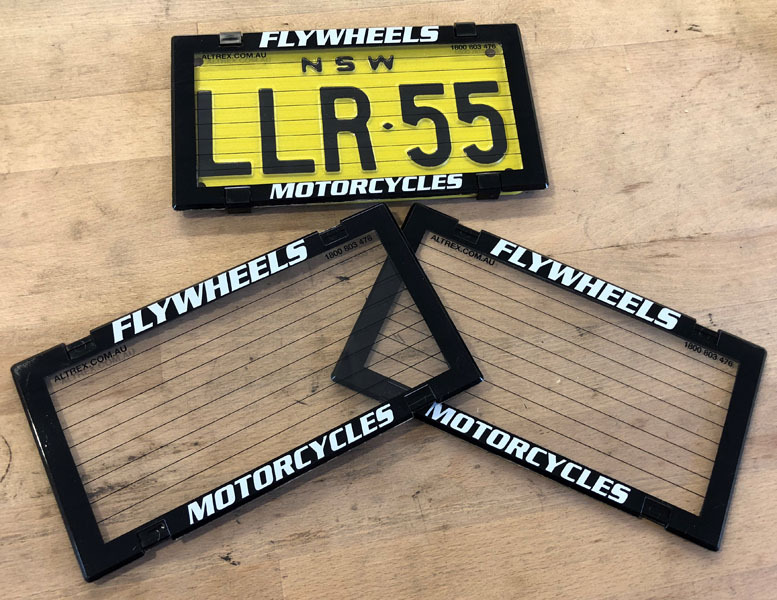 Sick of wiping mud off your number plate after a wet ride? Ever seen the number paint wear off a plate? The rest of your bike shines, why not the number plate? This protector provides a smooth clear surface that is easy to wipe clean, and the rear foam surrounds actually seal it to the number plate, so nothing gets underneath. Such a simple solution to add that final touch to your bike. Want one? Just ask. Do you have horrible scratch marks around your steering from dangley bits rubbing while you ride? 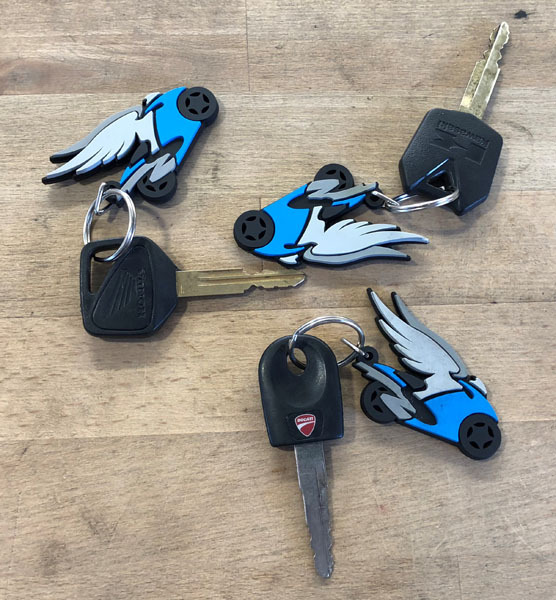 These “wing-bike” key tags are made from soft but durable PVC so you can leave it attached permanently without worrying about damaging anything else. And if you’re stuck on the side of the road, they have our contact details clearly on the back. 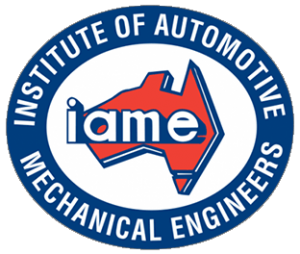 Make your key more identifiable to avoid losing it amongst other possessions, and show people that your pride and joy is serviced by the best in town. Best of all, they are free! These little guys are surprisingly handy. In a world of smartphones, no one can ever seem to find a pen. Proportioned to A6, they are the perfect size to fit in your bike’s storage compartment, or even just to leave on your bedside table. Why not grab one next time you’re in? Convenience can actually be cheap.